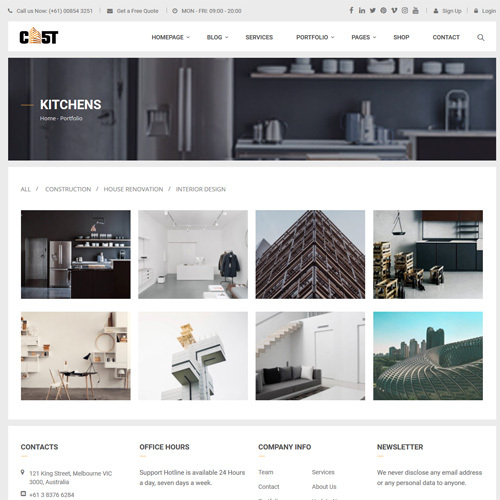 CAST is built for Building Services, Architecture, Engineering, Cleaning Service and other Construction related services Website. Perhaps, it is suitable for any kind of small business activity like Maid, Maintenance, Painting and Decorating, Refurbishment, Partitions & Ceilings, and others. It’s a very clean design with easy functionality. It is the winning choice for users with zero programming skills as well as advanced developers. 4 Default Homepage, 6 Blog Page, 2 Portfolio Variations included. 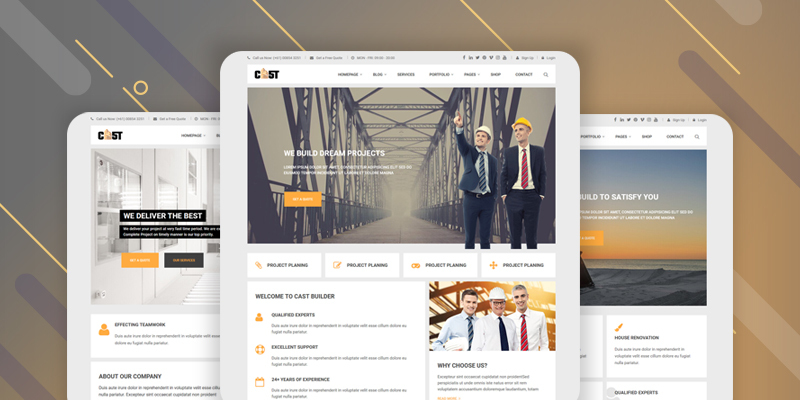 As it developed with Visual composer you apply any type of design in your HomePage or any other pages. 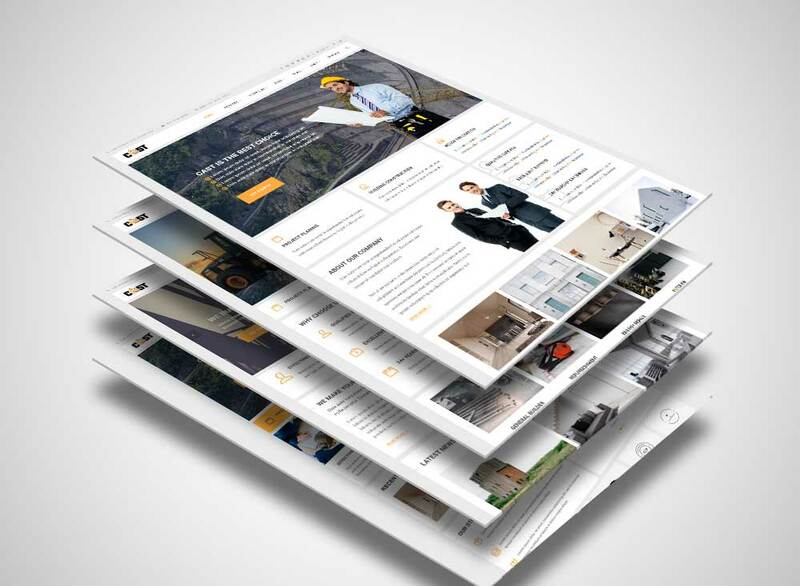 Responsive Design is one of the key aspects for our Themes. We hardly take this for our products. 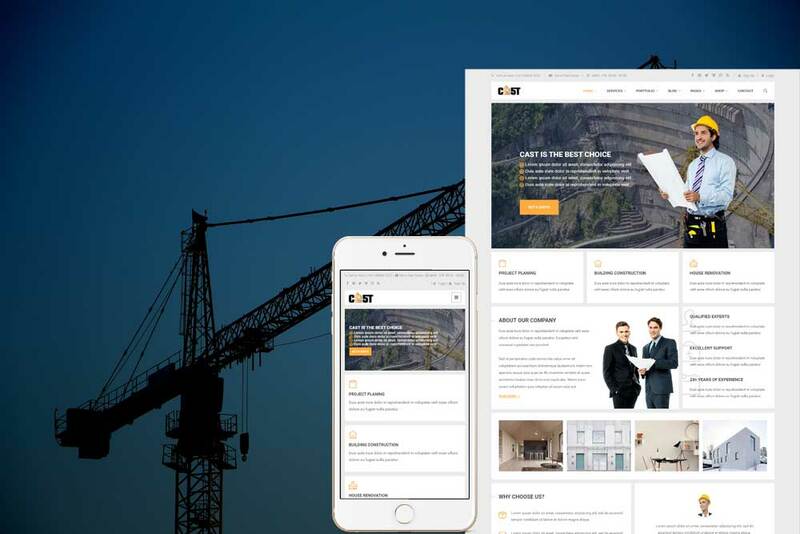 Cast a professional construction Theme and we know you will get tons of visitors from different devices. That's why it's our job to make the Theme super Responsive on any device and browser. Cast provides you 4 types of unique homepage. Don't think that these 4 variations are limited. You are free to design your Website Homepage from your scratch. All you need to know the use of the Page Builder we have provided with the Theme. No coding required just drag and drop. 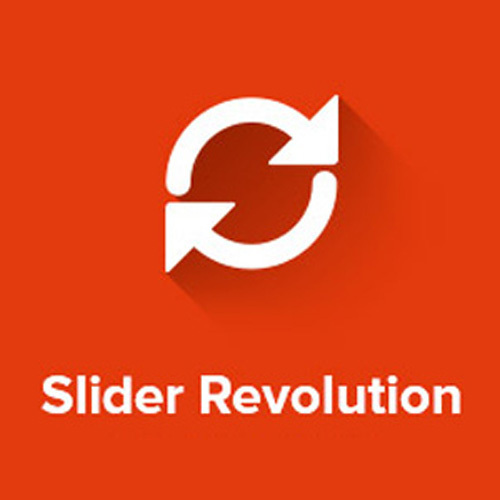 The Slider revolution is another awesome plugin for creating slider from scratch. You can access a lot of animation and features. Tons of icon, SVG, Media files are included within the plugin. he Visual Composer Page builder helps to design your Web Pages without coding or without doing shortcode. You can control each margin, padding, Content, Media with this page builder. We always provide updated version within our Theme. We recommend to use the latest version of our product always. 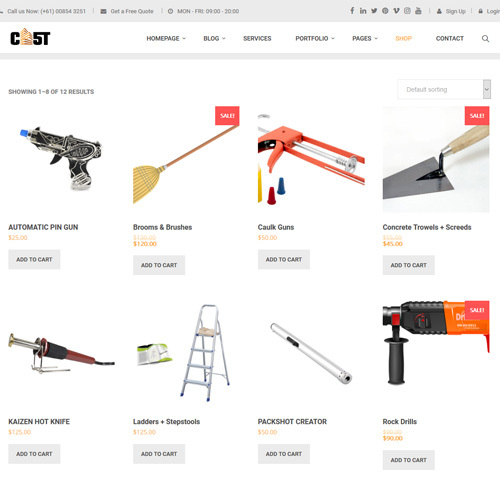 If you have any plan to sell products from your Website then you can use our Shop Features. If you don't need it you can skip it. We have noticed there are some company who wants to sell products besides services. Portfolio is the most important stuff for corporate life. People always seeking for portfolio before hire someone. Showcase your portfolios in the page. It's very easy. Just add your portfolios in the "Portfolio" Post Type and it will arrange everything automatically.